One of the things that stood out when we first looked around our sailing boat was the immaculate state of the diesel engine. It really was the tidiest that we’d seen. Not a hint of oil anywhere, very neat and orderly pipework and electricals and a lovely agricultural shade of green. It has behaved itself impeccably over the summer, always starting straight away and running so smoothly that you often have to check the rev counter to make sure that it’s still going. Keen to keep it in this state, and wanting to be able to take proper care of it, I signed up for the one day RYA Diesel Engine Course run by Emsworth School Of Navigation. 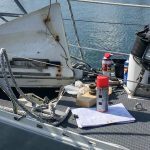 What is the RYA Diesel Engine Course all about? What is the course like? What to expect. 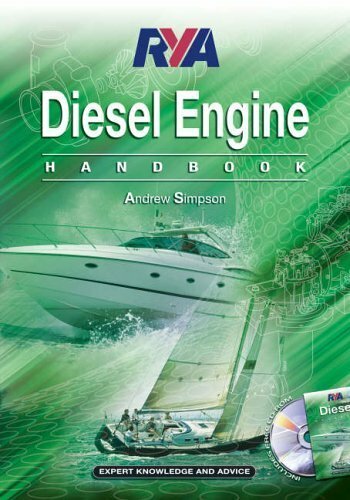 Would we recommend the RYA Diesel Engine Course? The RYA Diesel Engine Course was originally designed by the RNLI. They realised that they were spending literally millions of pounds each year rescuing boats who had got into trouble due to poor engine maintenance. More often than not, fifteen minutes with one of the RNLI guys on board got the engine restarted and everyone chugged home safely. 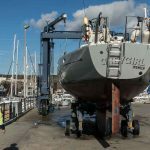 With that in mind, this course sets out to teach the essential maintenance and problem solving skills that are needed to keep a marine diesel engine running soothly and to be able to fix things when they go wrong. It’s only one day long and is focussed on the basics, steering students well away from the tricky bits that you need professional help to fix. By being aware of the various systems that make up the engine, carrying a suitable set of spares and making sure that things are running smoothly before you set off this course should arm you with the skills to prevent or fix 99% of problems with marine engines. Through a series of hands-on exercises, it works through the major tasks required in annual servicing and winterisation of an engine. At the end of the day you’ve learned enough to save yourself the £400 it’ll cost to get a marine engineer on board. With all the insider information on sourcing filters and spares from the auto industry, the course should pay for itself many times over within the first season. Prior to going on the course, I’d spent a happy few train journeys to work reading the RYA Diesel Engine Handbook,and so the theory of how each of the systems works wasn’t new. I felt that I had a pretty good idea about the practicality of changing an oil filter for example. I wasn’t therefore entirely sure that I’d get a great deal from the course. I’m delighted to say that I was completely wrong about that, and that’s mainly down to Ian the Instructor. Ian completely brought the subject alive, and skilfully used his many years of experience as an engineer in the Royal Navy to bring a valuable context to everything he was teaching us. There are many ways to do each job, and Ian was full of really simple and helpful hints and tips to make them easier. Who knew that sandwich bags and disposable nappies are just as important to have in your tool box as a good socket set a filter wrench? 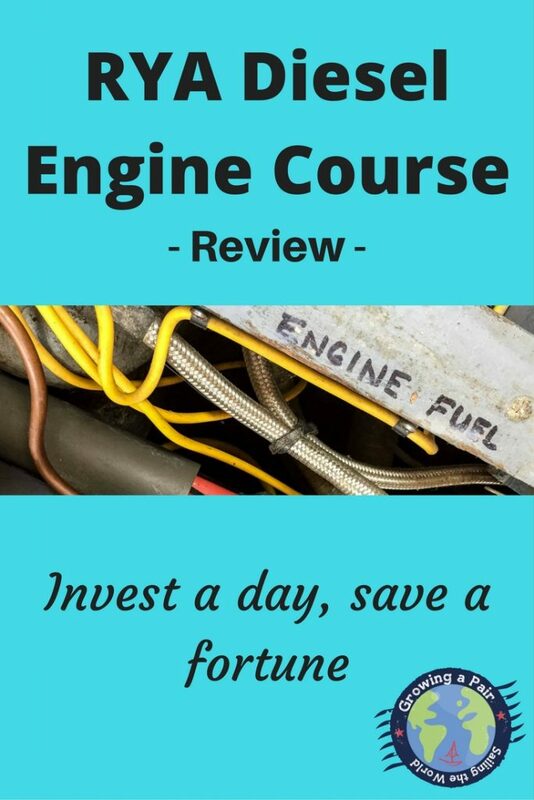 The other big advantage of the course compared to just reading a diesel engine maintenance book is the ability to deviate slightly from the curriculum and explore areas as they come up. We spent a fair amount of time talking about seacocks for example. I had no idea that there were three different types, or how to spot a marine seacock from a B&Q shut-off valve. It doesn’t sound particularly riveting as I sit typing this, but that five minute chat may well save us a fortune when we get around servicing ours in the next month or so. 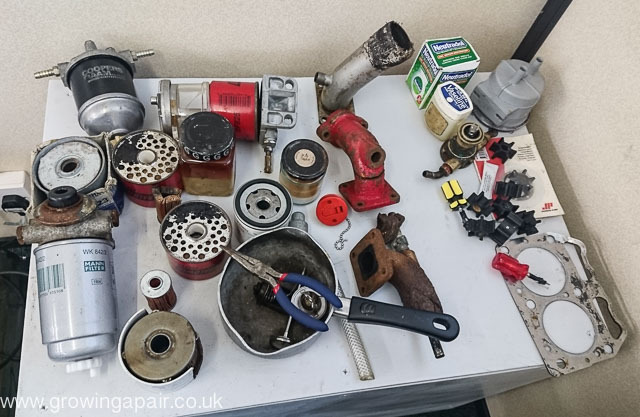 Engine fixing and maintenance gadgets. That’s an exciting tabletop, if ever I saw one! With the theory of each system covered, the RYA Diesel Engine course then moves onto some practical work. The world’s sorriest looking diesel engine is available to allow you to put the theory into practice. This was the part of the course that I was most looking forward to. Health and Safety legislation has unfortunately taken most of the reality of this though. 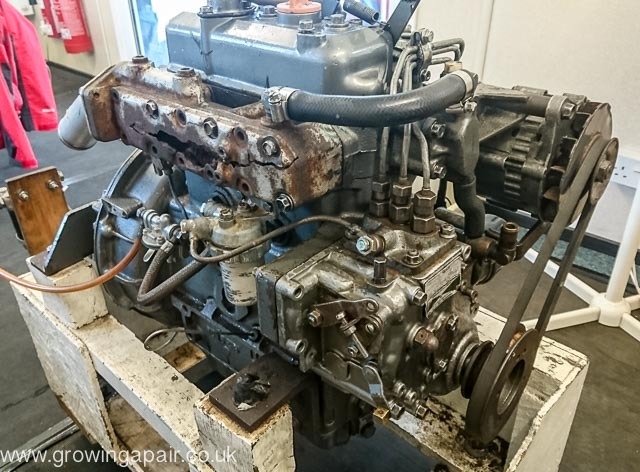 There’s no oil in the sump needing to be changed, diesel has been replaced with water, and clearly everything on the classroom engine gets replaced at least twice a week so nothing is seized or painted over. The engine also isn’t squeezed tightly into space only just larger than a shoebox. All this make the practical part of the course a bit sterile. As a teaching aid, it was invaluable. But I can’t say that I’m going to be able to directly transfer this experience to our lovely green, squished-into-a-hole boat diesel engine. All in all, I thoroughly enjoyed my day and would heartily recommend the course to anyone who spends time on a boat. One of the other students is an occasional crew member for one of his mates, and was just on the course out of curiosity. You don’t need to own a boat to benefit from the course. If something goes wrong, having basic knowledge of diesel engines is often enough to get you up and running again. Being able to talk through the processes involved in winterising an engine has boosted my confidence hugely. Tasks that I’d been putting off out of fear and ignorance will be tackled next weekend. And I’m confident that I’ll be able to do them properly and safely. It’s also given me a cracking list of cheap tools to add to my Christmas list – check out these lovelies if you’re struggling to find the perfect gift for the boat owner in your life. These are some of the gadgets recommended by the knowledgable people running the course. Super handy for looking around corners, underneath things and round the back of stuff, especially for an engine that has been squeezed into in a small cupboard. Probably quite good for spying on the kids too. Lovely job for picking up those nuts you have dropped into the bilges when you’re undoing stuff. 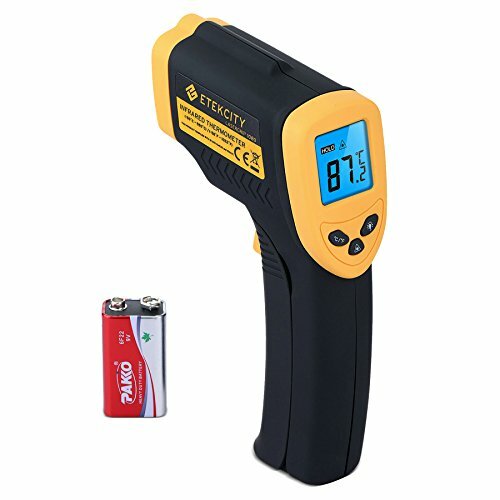 This infrared thermometer has a laser in it, so there’s no reason not to have it in your tool box. It is also dead handy for checking just how hot your coffee is before you drink it. We have one of these, obviously. It’s awesome for checking how hot the inaccessible parts of the engine are. Don’t leave it to chance. 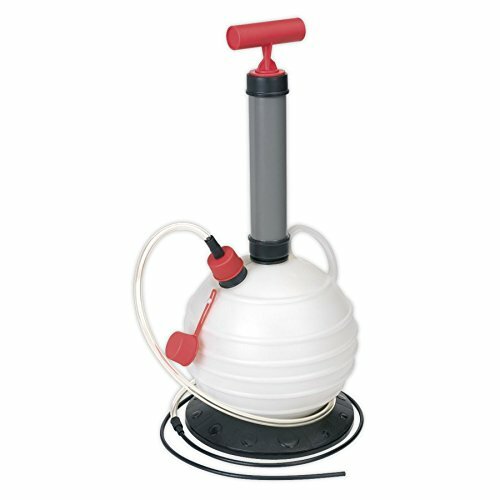 Make sure you have the right mix of anti-freeze in your water system. 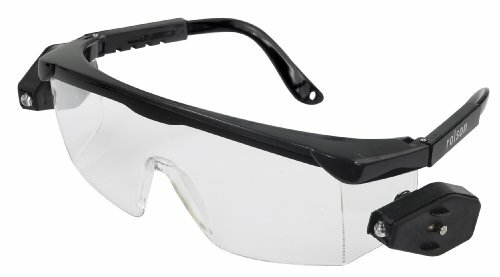 Expensive, but makes you look like a proper professional. Treat yourself. You’re worth it! So there you have it. 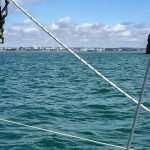 If you are interested in this course, there is a lot of information on this and many other RYA courses on the RYA website, including contact information for sailing schools near you who offer the courses. 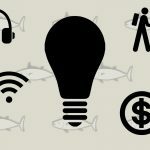 If you’re looking for other useful boat gadgets, check out 10 Must Have Boat Gadgets for Sailing and Travel. There’s also some fun stuff for your boat in Cool Boat Stuff I really Want. Love our engine. Quite like the RYA Diesel Engine course. Not looking forward to removing the skin from my knuckles. Must buy some gloves.